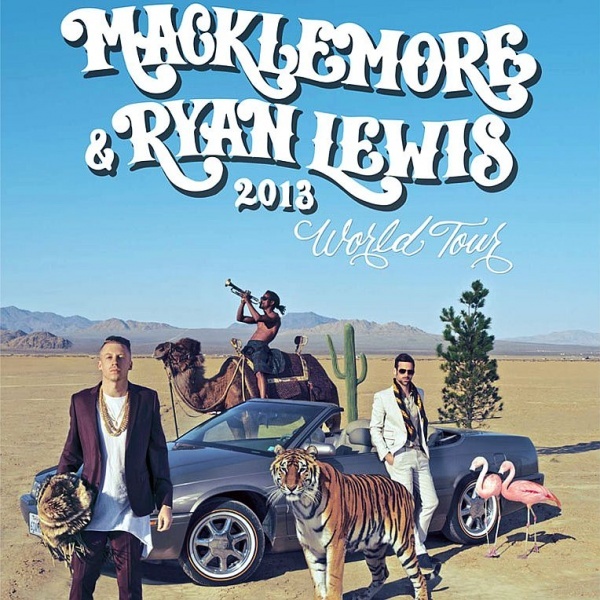 The Bryce Jordan Center has added new sections for the highly anticipated Macklemore and Ryan concert this Thursday November 7th that will be available to Penn State students for just $15. Tickets are available to purchase in person with a valid Penn State Student ID at the Bryce Jordan Center, The Downtown Theater or Eisenhower Auditorium. This is a great chance for those who originally didn’t plan on going to get cheap last minute tickets!! For more information about the concert or tickets visit the www.bjc.psu.edu. Who is Port Vue? 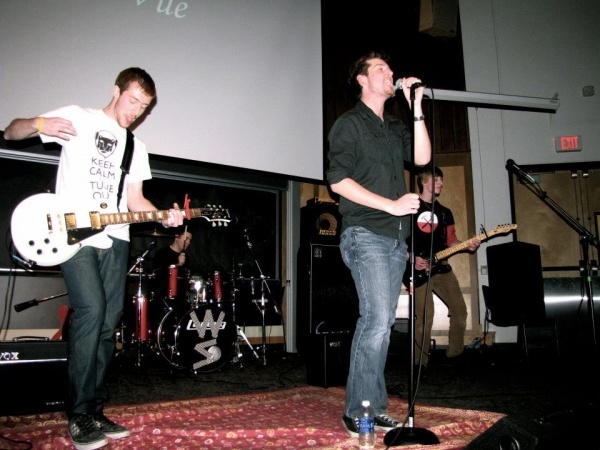 Band members Joe Penzelik (vocals), Ben Sudie (guitar), John Wiater (guitar), Marc Shively (bass) and Scott Stonebraker (drums) call the suburban Pittsburgh area home and all met through their high school, Serra Catholic. While Joe, Ben and Marc initially made their musical bonds on stage as members of the school’s theater group, John and Scotty joined shortly thereafter in 2011. 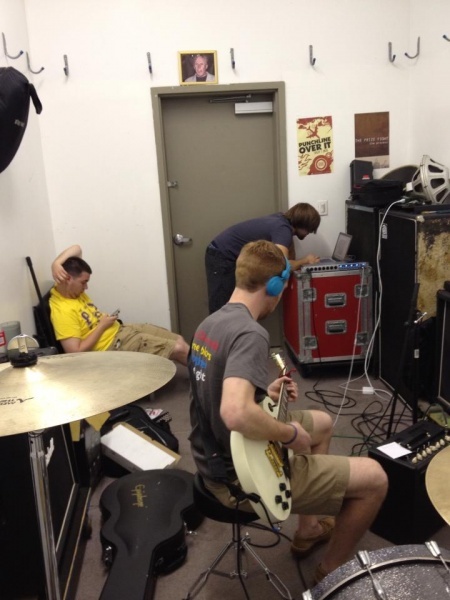 From there on the boys spent countless hours in basements, on many late night Sheetz runs and went through plenty of packs of strings to evolve from a high school garage band, to a sought after headlining act for several different outdoor summer music festivals. 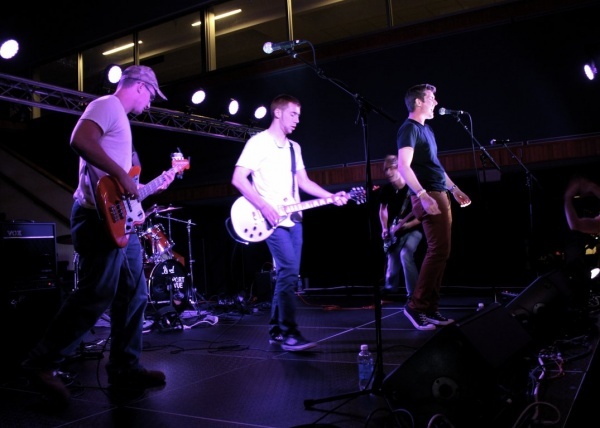 Port Vue was also recently had their talents recognized at Duquesne University’s “Duq N’ Roll” battle of the bands competition when they brought home the 1st place prize. On Recording: The summer of 2013 was a defining season for the young group as they took their talents somewhere they had never gone before, the studio. Based out of the Southside in Pittsburgh, Port Vue received help from another Serra Catholic alum, Jay Leppo, of Dispatch Recording. Their first time recording in a studio was described by guitarist Ben Sudie as “very Stressful, [but] very exciting.” and guitarist John Wiater chimed in that it took “many long nights”. The experience in the studio proved to be a learning one for the budding musicians as they were faced with obstacles such as learning to play with a metronome clicking in their ear, or adjusting to instruments that weren’t their own. Despite these few adjustments, they throughly enjoyed the experience of hearing their hard work come together into the final product. 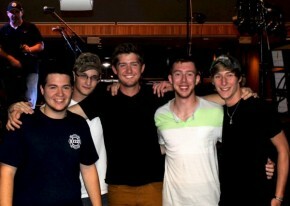 The band was very proud to say that they all had a part in recording the vocals for their songs. With plenty blending harmonies and multiple layered vocal lines, the band would like to give a special thanks to Jay for taking the time and having the patience to have all their voices be heard on this true group effort of an EP. All Your Wishes is a 6 track EP that will take listeners on a journey through the musical stylings of this promising group. The album begins with the aptly named first track “Setting Sail”. With lyrics written by the guitarist Ben Sudie, the song begins with some well placed feedback leading into a catchy guitar lead and dramatic drum line that sets the tone for the rest of the EP. The song explains the feelings of a young couple during the beginning stages of putting the pieces back together of a troubled relationship. This song also contains a noteworthy solo section that undeniably shows off their talents. 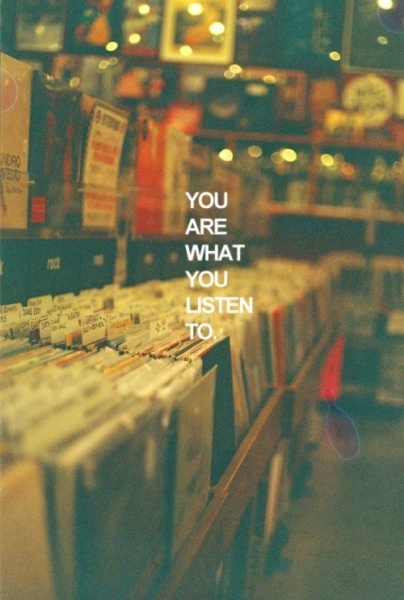 The second track on the EP is “Secret Burden” which in my opinion is one of the band’s poppy-er sounding tracks. The song tells the tale of someone who can’t shake the old feelings from a past love that was resurfaced after returning to their high school’s homecoming game. The most impressive part of this song to me are the perfectly executed harmonies during the chorus as well as the charging rhythm guitar and gracefully layered lead guitar parts. The drum line is also very effective at getting the listener to bob their head, tap their feet and feel the rhythm that drives the song along. The third track “Show Me the Way” acts as the comedic relief on the album. The song was written by the band’s bassist Marc Shively and has lyrics that will definitely have you replaying the song and saying to yourself “Oh, they did just say that!”, which if you know Marc personally…makes perfect sense. While the song is a shorter track, it will definitely have you up on your feet dancing along to the upbeat bass line. The fourth track slows things down with the band’s ballad of the EP “The Code”. This track proved to be a difficult one for the group to record but they persevered and ended up with a beautiful ode to life’s tough moments with lyrics by lead singer Joe Penzelik. Once again this song showcases the band’s ability to come together and write an extremely cohesive song, everything fits perfectly from the heartfelt leading guitar and the delicately placed harmonies. Port Vue Performing at Penn State Songwriters' Club's Concert Benefitting THON. 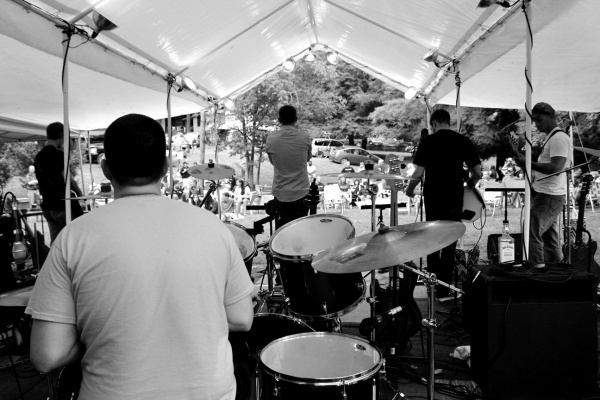 The fifth track was what the band used as their sneak peek and is often a crowd favorite. “What You Wish For” is often song that people find getting stuck in their head. The song, written by lead singer Joe Penzelik, tells the tale of hindsight being 20/20 and realizing that the grass really isn’t greener. 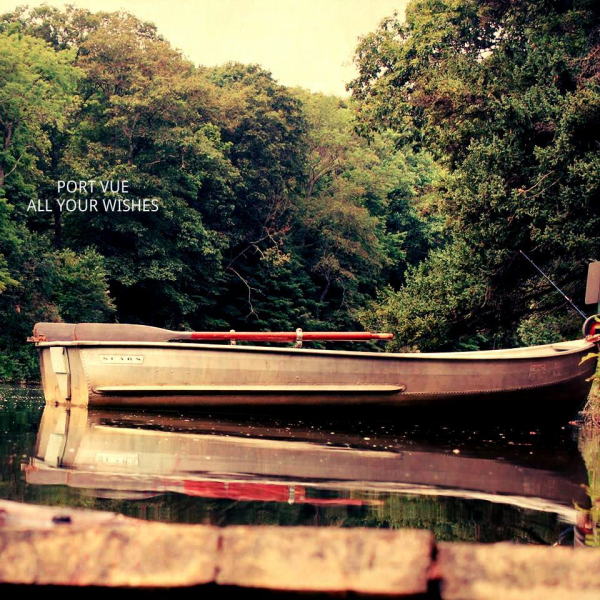 With the EP’s title coming from the iconic line “From all your wishes down the wishing well, one of them may come your way”, the songs lyrics often hit home for a lot of people. I specifically love how dynamic of a song this is with a break down and a buildup during the last pre-chorus and the final chorus coming together with repeating layered parts. The sixth and final track of this EP is what I predict to be this band’s big single. “Shine On You” is a song that holds a special place to the band’s heart as it was written by lead singer Joe about his younger sister as she was graduating high school. The band put a lot of hard work into the recording process of this song and could not be happier about the way it turned out. Every time I have seen this band perform live, the crowd always receives this song extremely well. The guitar rhythm guitar part is extremely catchy and well executed in accenting the song’s upbeat and inspiring nature. The refrain of this song is the most impressive part of this album. As the song slows down to what almost feels like a premature ending, the individual parts of the band slowly rejoin the song until there is a final upswell of energy and the song ends with the boys putting their hearts and souls into the EP’s final hurrah! The song fades and ends the EP with the same way it began, perfectly placed guitar feedback. For those of you listening to this EP in it’s entirety, place it on repeat and you will find that it plays as a perfect loop. What’s next: With the recent momentum picked up by Port Vue, the band shows no signs of slowing down their success. And why would they? Port Vue has it all, a talented group of guys who all have an huge passion for making and sharing their original music, a reputation for playing perfected covers and impressive originals that get the crowd going and a following of friends, family and fans who will follow this band wherever they may go. Port Vue hopes to begin playing at bars downtown and has a few future events up their sleeves. 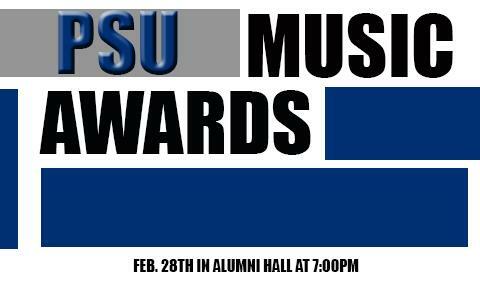 Port Vue would like to thank Penn State Songwriters’ Club for helping the band establish their name at Penn State as well as connecting them to fellow musicians. The would also like to thank State In the Real for the amazing press they have been giving them since the beginning. Be sure to stream and download All Your Wishes on their Bandcamp and remember to LIKE them on Facebook to keep up to date with the bands antics and events. If anyone is interested in booking Port Vue you can contact them at portvueband@gmail.com. 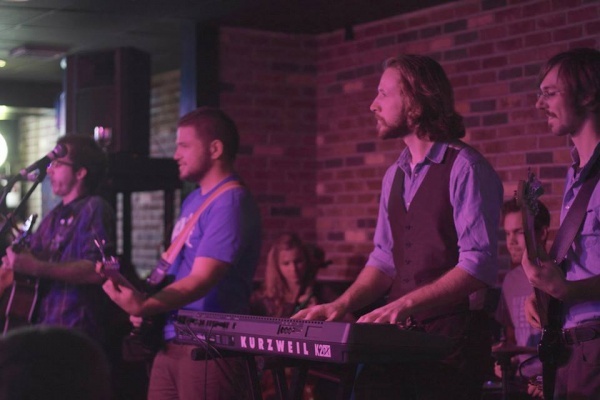 Lenina Crowne Returns to the Darkhorse Tavern on 10/16!!! After an amazing performance on Wednesday October 2nd, Lenina Crowne will be making their return for round 2 of folktastic tunes at The Darkhorse Tavern on October 16th!! 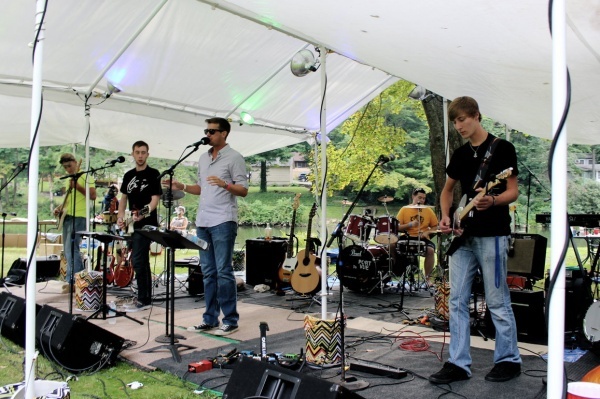 Lenina Crowne is a band based out of State College that is comprised of 8 talented musicians who all have their story to tell through the band’s melodic indie sounds. Unique to the bar crowd, the band is a very nice treat to someone who isn’t looking to hear a Top 40 cover band. The band plays a nice blend of catchy originals and impressively mastered covers and is guaranteed to go down well with an ice cold pumpkin beer! Find out more about Lenina Crowne on their Facebook Page and be sure to “Attend” their event! Be sure to check out, cover is 3 bucks and is 21 to enter but it’s worth it considering the Darkhorse runs awesome 1/2 price drink specials on Wednesday Nights from 10-12! The Willard Preacher has become quite the social media icon within the past few months at Penn State, with last year’s statue incident, to several professors losing their cool. 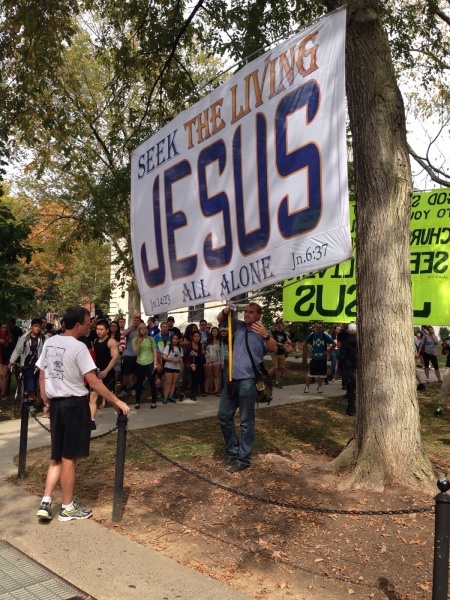 On campus today, October 3rd 2013, the Willard preacher faced another opponent, perhaps his most challenging ones yet: men with really big signs! !